A market leader in high quality / high capacity Li-Po, cylindrical and prismatic lithium-ion cells. These batteries meet the needs of a wide range of devices. 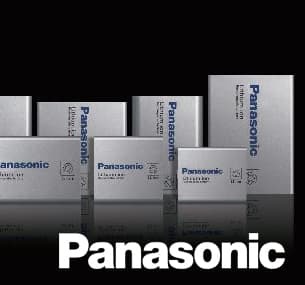 Unique Panasonic technologies have made the batteries thinner and lighter for use in devices like notebook computers. They are also used in electric vehicles (EV), backup base stations for mobile telephones, electricity storage systems with solar power generation, and various other industrial uses.